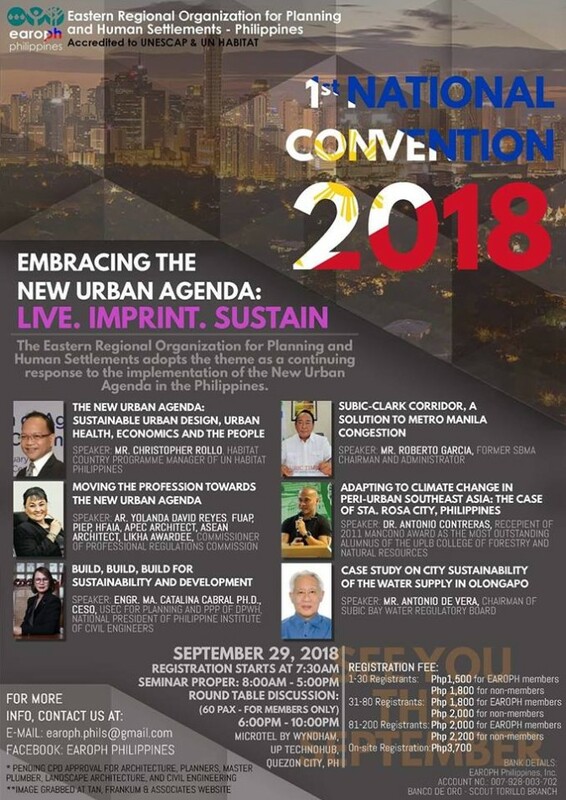 EAROPH Philippines will hold its 1st National Convention on September 29, 2018 in Microtel UP Technohub, Quezon City with the theme "Embracing the New Urban Agenda: Live. Imprint. Sustain. 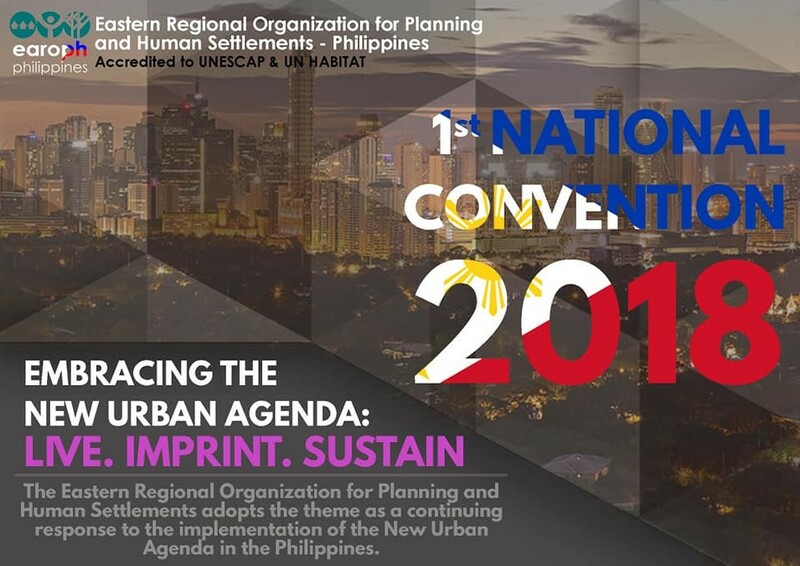 The said theme is a continuing response to the implementation of New Urban Agenda (NUA) in the Philippines, with priority themes embracing the words LIVE, which refers to the social sectors of the country, people in general, whose survival must be the primordial concern of all governments, national and local; Imprint, refer refers to the physical forms with which government shows its concern for people, infrastructure facilities and shelter; and Sustain, refers to the environment, the overall milieu in which people and infrastructure move and interact, whose pristine condition must as much as possible be kept to assure a safe and healthy life for people. 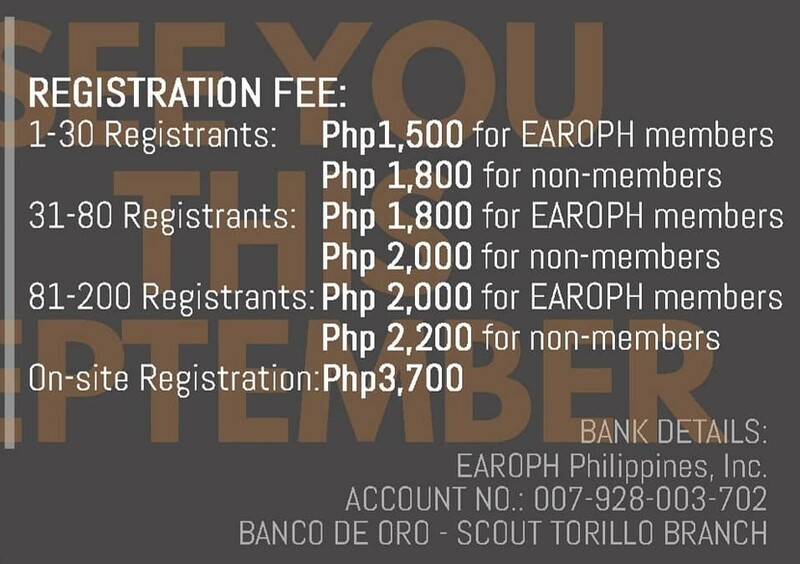 EAROPH is an international non-government and multi-sectoral organization that brings together the private, public and academic sector to foster the exchange of insights and experiences among countries in the EAROPH region. 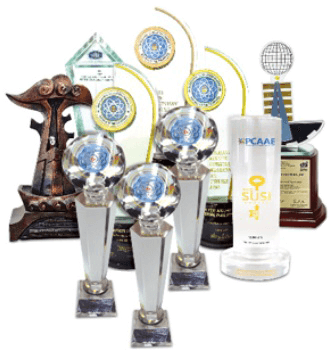 EAROPH promotes excellence in planning, development, and management as well as consolidate and continuously promote the provision for better quality of life and sustainability of Human Settlements. The EAROPH region covers countries in Asia, Australasia and the Pacific region and was officially inaugurated in 1960. It gained its NGO status from the United Nations through its then-parent organization, the International Federation of Housing and Planning (IFHP) and today the EAROPH secretariat is in Kuala Lumpur, after it moved from India in 1978. Past UAP National President Arch. Edric Marco C. Florentino is currently the President of EAROPH Philippines.